Grand Central Publishing, 9780446574624, 448pp. 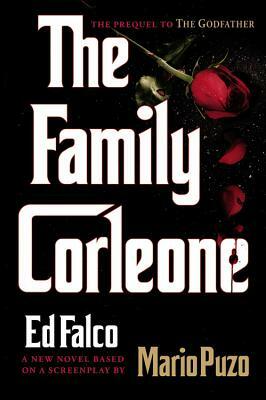 An exhilarating and profound novel of tradition and violence and of loyalty and betrayal, The Family Corleone will appeal to the legions of fans who can never get enough of The Godfather. New York, 1933: The city and the nation are in the depths of the Great Depression. The crime families of New York have prospered in this time, but with the coming end of Prohibition, a battle is looming that will determine which organizations will rise and which will face a violent end. Ed Falco is the author of three novels, four story collections, and numerous plays, poems, essays, and critical reviews. Among his many awards and honors are an NEA fiction fellowship, and the Southern Review's Robert Penn Warren Prize. He is a professor of English at Virginia Tech, where he directs the MFA Program in Creative Writing.